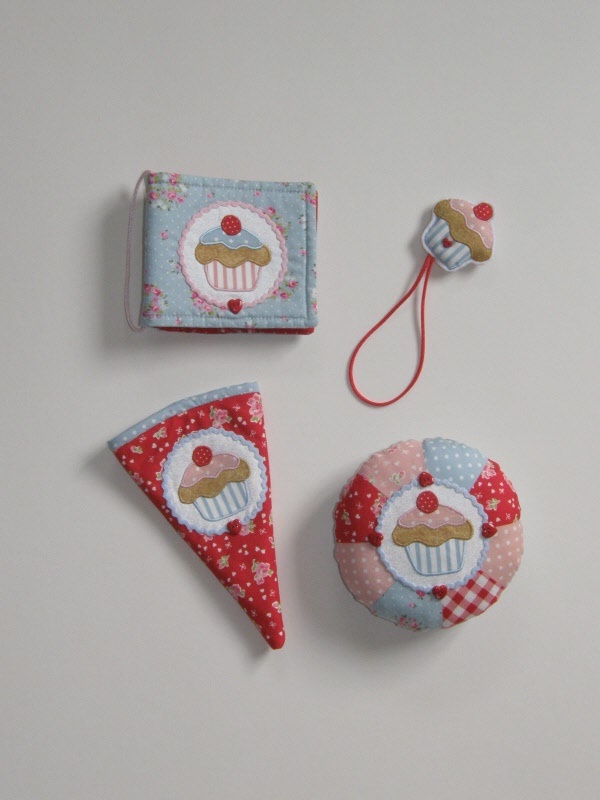 Gail Penberthy has designed this lovely sewing companion set base on those calorie free cupcakes! you will receive a selection of co-ordinateing fabrics, along with all four designs in this one gorgeous pattern. You have the pattern to make a needlecase, scissor keeper, scissor fob and pin cushion. They measure between four and five inches in size. Please note that the kit only contains the fabrics and not the embellishments or ribbons.